Kim Dotcom’s story is something out of Hollywood. The self-proclaimed king of the internet was the founder and operator of file sharing giant Megaupload — a haven for pirates and file users alike — ran successfully for many years, until one day the police descended on his mansion in New Zealand. With guns, a SWAT team and helicopters they stormed his home, arresting him and confiscating almost all of his property. Since then, he hasn’t left the public eye — especially in New Zealand — where he’s in the headlines seemingly almost every day. Be it because he invites random people from Twitter over for a pool party, calling out politicians for foul play, or because he’s reviving Megaupload under a new banner. Now, the larger than life celebrity has promised something even better than a encrypted new haven for your files; free fibre internet for everyone in New Zealand. Dotcom took to Twitter recently with a new-found passion, promising that he would relaunch the “Pacific Fibre” project for the country and deliver “free broadband for all [New Zealanders].” How exactly does he plan to do that? By suing the pants off the American movie industry. It’s likely you have no idea who or what Pacific Fibre is, or really anything about New Zealand, so let’s start from the beginning. New Zealand is a country of four million citizens, and is well known for things like the Lord of the Rings movies and having more sheep per person than any other country in the world. A not-so-commonly known fact is that New Zealand’s internet hinges on just one cable (technically two, but they’re part of a loop) — the Southern Cross Cable — and one company that controls that cable. There is nothing else. Even from the outside you can see why this would be bad news; having only one company controlling the entire countries internet means there’s not only no competition, but there’s the potential for everything to go horribly wrong and the country to go dark (something that almost became reality recently). Pacific Fibre was created to solve this issue, and promised a trans-Pacific cable that would be 12,750 KM in length and would have competed directly with the Southern Cross Cable. The Southern Cross company claimed after the announcement that the cable has more than enough capacity for growth (if you ask them), but it’s unlikely that would actually cover a scenario where everyone in New Zealand received fibre internet to their homes. The government is already underway with these plans and hopes to have 100Mbps internet delivered to 75% of homes by 2019, which is great if that speed includes international traffic, but at this stage would be questionable at best. A quick look at the internet providers in the country shows the extent of the problem, with most home users in the country still receiving less than 100GB of data for up to $80 USD a month. This was yet another problem Pacific Fibre had hoped to solve by creating competition in the cable market. As it turns out, the New Zealand government had little interest in establishing its own cable and was unwilling to help the company out with an investment. The New Zealand government has also shown no interest in regulating the monopoly that the Southern Cross company has. After many years of back and forth, Pacific Fibre was officially abandoned because they were unable to secure additional investment for the cable which was estimated to cost $400 million to complete. The company had hoped that it would receive significant government and offshore funding in the forms of commitments to buy bandwidth, but it never did, and by the time they decided to call it quits, the company had spent $6 million trying to make the cable happen. This happened despite winning a $100 million 10-year contract to buy bandwidth by Vodafone NZ as well as other ISPs and receiving investments from high profile investors such as Facebook’s Peter Thiel. It turns out it’s not easy to create a giant cable. To recap, two weeks ago, Dotcom took to Twitter to announce his plans, to give free internet to New Zealand. He promised that “all kiwis (New Zealanders)” would receive free internet via ISPs, and that businesses and the government would be the ones charged for access. 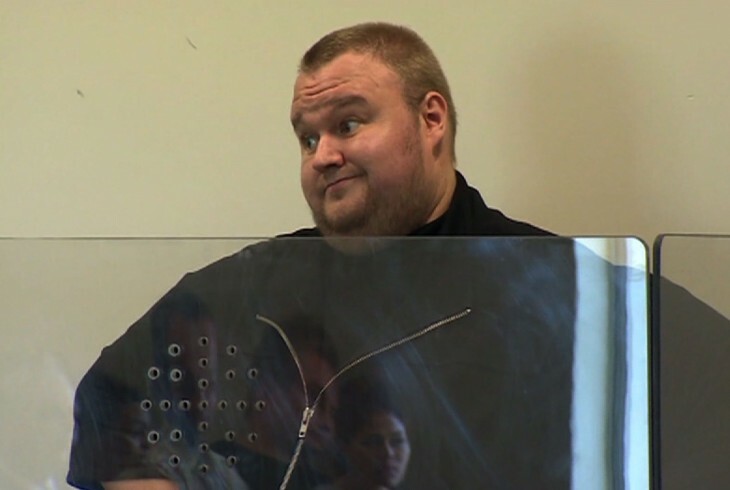 The statement attracted a negative reaction from many in the industry who think Kim Dotcom is just fantasizing. They wrote his plans off as ridiculous without even giving Dotcom the benefit of the doubt. He may not have the money right now — especially given his current legal status — but he plans on having some of it back in the near future because of the way the American government handled the Megaupload case, claiming that he will be able to sue the US government/Hollywood to get the funds. He has two plans; the first would see Mega funding the project itself once it became popular through purchasing bandwidth. This is the most viable option, provided the project actually gets off the ground. The second plan includes Dotcom suing the US movie industry to regain the funds due to the “unlawful and political destruction of my business, Megaupload.” The second plan is something out of fantasy, and it’s unlikely it would come to fruition in the next few years. Dotcom wants to commit Mega to purchasing $20 million of bandwidth from the new cable company that he would resurrect, since Mega is now registered in New Zealand. According to the NBR, that would give Dotcom around half of what he needs if he paid for ten years. Even if that were to work, Mega would have to prove extremely popular, with Megaupload previously purchasing $40 million of bandwidth. Dotcom says that the company will consume 2 terabits of daily bandwidth, which in perspective is more bandwidth in a day than the entire country uses right now. It would be a big boost for the country’s economy. As it stands now, it’s unlikely companies would want to build a large-scale data center in the country since sustained bandwidth (to the scale that large data center providers need) over the Southern Cross Cable is not available, and getting them to buy into the promise of a cable that might happen is going to prove difficult. However, in terms of the country’s attractiveness to those looking to create a data center, New Zealand has a mild climate that doesn’t experience hurricanes or any major weather phenomena and most of the country’s electricity is generated by ‘clean’ electricity. That is, by hydroelectric dam or natural gas plants, making it an attractive place for data center operators (comparatively, Australia uses a lot of dirty electricity). The lack of bandwidth is the biggest concern right now, since a large data center operator would likely exceed the current bandwidth of New Zealand’s internet easily. Google has previously expressed an interest in building a data center for its services, but the company has not made plans to do so yet. New Zealand would essentially give a data center provider the big green tick, and it would be cheap too. If the country could become a neutral space — like Switzerland — it truly could be a haven for cloud providers. The thing is, Dotcom’s plan could actually work. It might be the stuff of fantasy, but despite all of the odds against Dotcom, he’s the only one in New Zealand who’s actually making a fuss about the problem, and the only one who actually has the clout to do something about it. If Dotcom manages to wrestle his way out of his potential extradition and successfully sues the government and works towards regaining Pacific Fibre’s original customers that had committed 10 year contracts, it could just work. He just couldn’t do it alone. Dotcom is only estimated to be worth $200 million USD (including assets), which is only just over half of what’s actually required to build the cable let alone run a sustainable company. Lucky for him, many have shown interest in the project, with over 1,000 people responding to the initial tweet that day and already receiving offers of interest. Seeing interest from Arab investors. They see an opportunity to own a big chunk of the Internet? Me.ga & Megabox will be huge. He would have to, somehow, attract other investors that have similar wealth to himself. A feat like that should not be difficult, though, with Pacific Fibre previously attracting major interest, with a little more time and dedication (and perhaps some proper business training) as well as attention from overseas parties it would be entirely possible for Dotcom to get the project off the ground. He’d need to find $300 million of private angel funding to get moving, something which the country has little of, but should be straightforward to find overseas; companies like Amazon or Google, who are looking to evade America’s restrictive Patriot Act laws, could use the country as a “cloud haven” since the laws there are much more relaxed. Additionally, it’s likely the project wouldn’t work if he was leading it, since the US government would be extremely unlikely to allow him to land a submarine cable on their shores given his legal status and his intent to sue. This could be circumvented by him only funding the project and allowing someone else to lead it. It’s easy to write the plan off as crazy, but someone’s got to make a noise about it. Why shouldn’t bandwidth be free for consumers? It creates demand for other services — like Netflix, Hulu and Pandora — which in turn generates more revenue for the industry. It would allow the country to build large-scale data centers and export services in the cloud. Kim Dotcom’s story may be something of fantasy, but unlike any other businessman, he’s excellent at cutting through red tape. Despite however ridiculous it may seem, he might be the only person in the country who has the audacity and connections to make it finally happen.